Hi everyone! 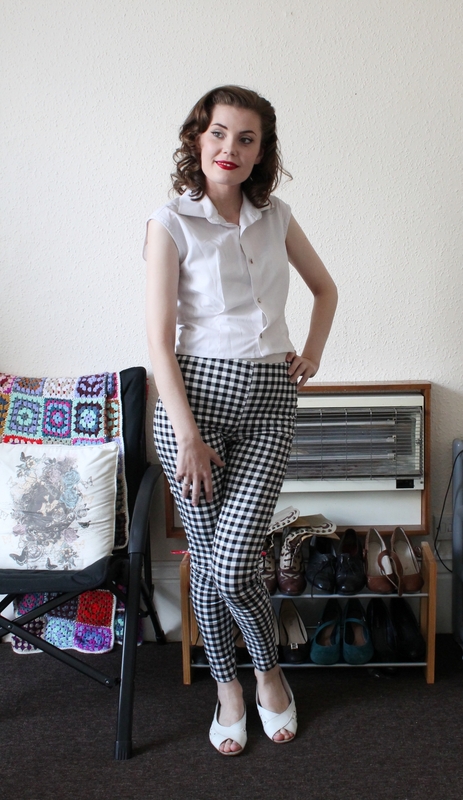 I’m quite excited to share today’s post with you, which is a review of these cigarette trousers. I picked these up recently and they were a total impulse purchase but I tried them on and just fell in love. I get a lot of wear out of my other cigarette trousers and I’ve been thinking about buying another pair, so I thought these would fit the bill nicely. I find practical, comfortable and easy to wear. They’re very flattering on, and are easy to dress up with heels for a night out or smart enough to wear for work during the day. So where did I pick up this magical garment? You’d be forgiven for thinking they were from a well-known repro shop. 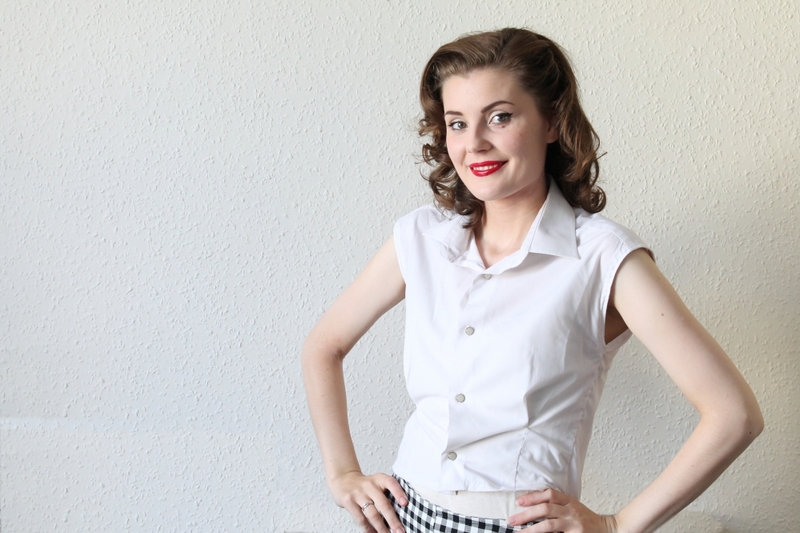 Lindy Bop, Collectif, or Pinup Girl perhaps? These retailers, to name just a few, all carry similar styles. But no. 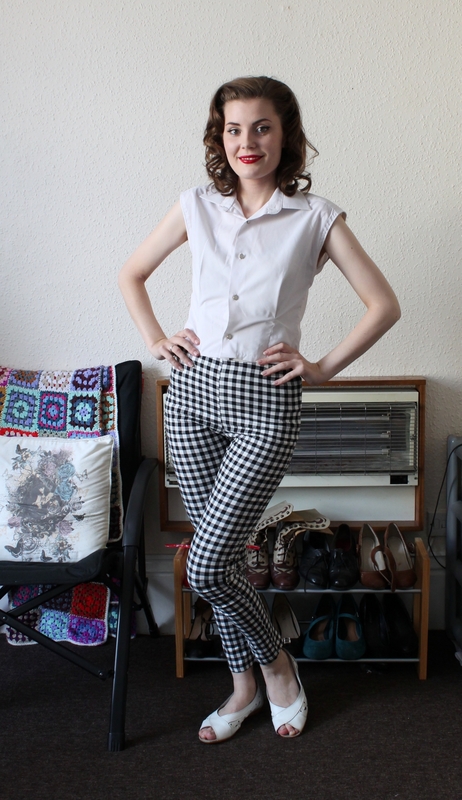 These delightful 1950s-style cigarette trousers are from… Primark. Yes, they are currently available in a range of patterns at just £9.00 a pop, which is a fraction of the price of some available from the repro shops. Unfortunately I was not able to find this style in any plain colours, although I’ve noticed that Primark’s stock can sometimes vary from store to store, so it’s possible that plain colours are available elsewhere. However, all of the patterns I saw were very pretty. I just chose these ones as I thought they would still work well as a neutral in my wardrobe. The trousers skim the ankle on me (at 5’5”) and are made of a stretch fabric so they are not only comfortable but wonderfully curve-hugging. They feature a side zip and are a mid-rise, not quite sitting at my natural waist but not slouching round my hips either. If you really must have something that sits at your natural waist then you may wish to stick with those available from the repro retailers where clothing is specifically designed to be 1950s in style, but I think these still have enough of a 1950s look about them that I’m very happy with them as a very much budget-friendly option. I’m wearing a UK size 8, which is my usual clothing size, but it’s always worth trying Primark clothing on before buying as their sizing can vary by a lot. Since the trousers do have some stretch, those of you between sizes may wish to size down to maintain the very fitted look. The quality is about average for a high street item, and to be honest I find that some of the repro brands charge high prices for items that are only about the same quality as high street items anyway, so I’m counting this as a win. I am planning to buy some more pairs of trousers for the winter and perhaps experimenting with different styles. These look great on you and I would never have considered looking for them in Primark! What a fantastic price on these stylish trousers. They look great on you! I'm a firm believer in always keeping one's eyes open for vintage appropriate threads like these wherever you go - you just never know when a great bargain on a totally old school looking piece is coming your way. "Primark paid out $12m in compensation after 1,100 garment workers died in Bangladesh when the eight-storey Rana Plaza factory providing some of their clothing collapsed into rubble in 2013." In addition to this, they also have an environmental sustainability programme, conduct structural surveys of the factories that supply their garments, and have a code of conduct for factories. They are working with factories in Bangladesh to continue to improve working conditions. They state that all of their garment workers are of legal working age, are treated decently and are paid a fair wage. Although claims have been made that Primark was involved with using child labour, after a lengthy investigation this information was found to be false. All this information as well as more detail on some of their other commitments and policies is available on their website. I don't mean to be disrespectful but what you have done is to simply copy-paste their pr stuff and use that as an argument. Shouldn't we except a bit more from an PhD student. Let's do some simple maths, shall we? If you have ever tried to make a pair of trousers you might know that 8 pounds would buy you a thread and a zipper. So how does this sum covers fabric, labour and let's not forget transportation from Bangladesh? Something isn't right, is it? I appreciate your concern however the supplies used to make clothing in these large facilities are bought and shipped in bulk, thereby reducing the overall cost. 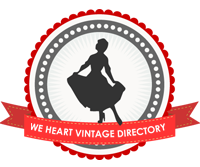 I'd like to redirect you to my above comment where I state my aim to shop ethically and carefully with many of my clothes being vintage or second hand as well as those I buy from the high street. I shop from companies who manufacture their clothing in the UK however this isn't always possible or practical. Of the companies who do manufacture abroad, there are standards, guidelines and policies in place to ensure they are operating ethically.